0 | 9 students enrolled. Value Investing can be defined as an investment strategy which involves selecting stocks which trade at a much lower value as compared to their intrinsic value. The idea underlying this strategy is to identify and invest long-term in good businesses at a point when they are providing sufficient margin of safety. 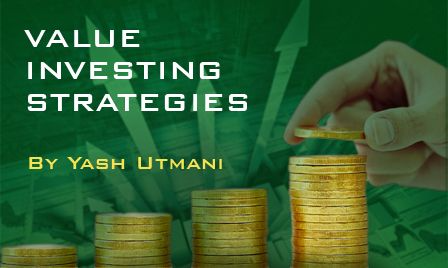 There are two broad value investment strategies used by famous value investors such as Benjamin Graham, Warren Buffet and Charlie Munger for the purpose of wealth creation. This course aims to cover these strategies and as well as provide the participants with a thorough investing framework that they may use to identify value stocks. This programme is suitable for anyone who wants to understand the key concepts of value investing and achieve financial freedom. Learn about the value investment strategies used by the most successful value investors across the world. Develop a complete investment framework in order to evaluate an investment idea. Decide whether the management of a business is acting in the best interest of the shareholders or not. After successful completion of the course, the students will receive a " Certificate of Completion"